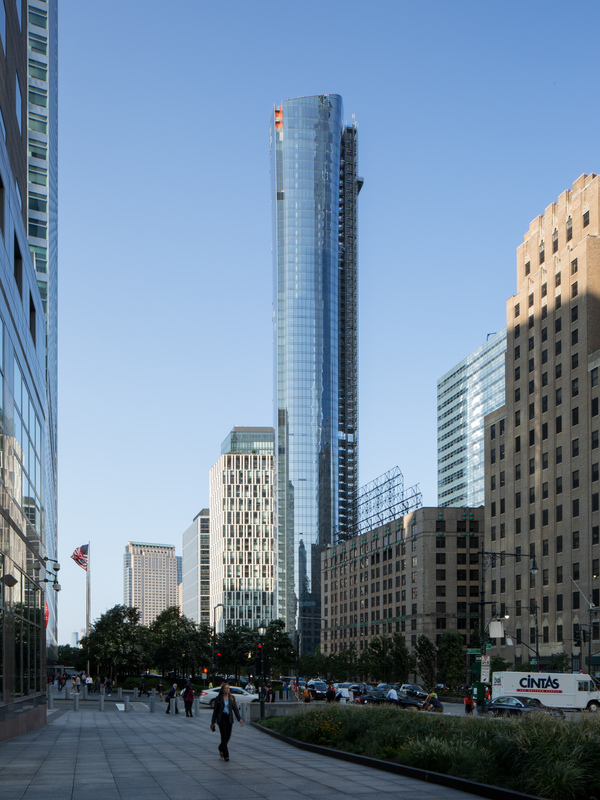 Nearly four years after permits were filed, 111 Murray is almost entirely finished. 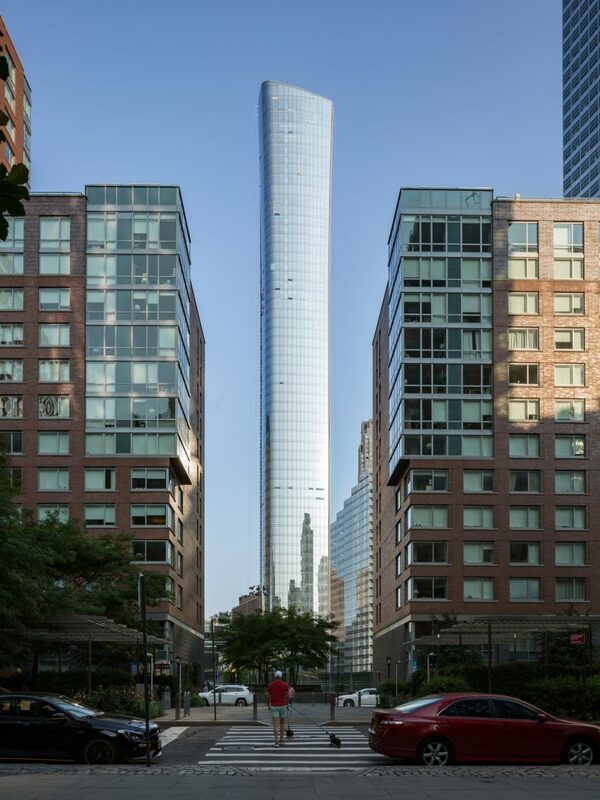 The 792-foot tall structure will add 157 condominiums to the Lower Manhattan and Tribeca market. After applications were approved in May of 2015, construction was quick to start. Now, the development by Fisher Brothers, Witkoff, and New Valley is nearing completion. All that remains to be installed of the facade are two glass panels on the southwestern edge. 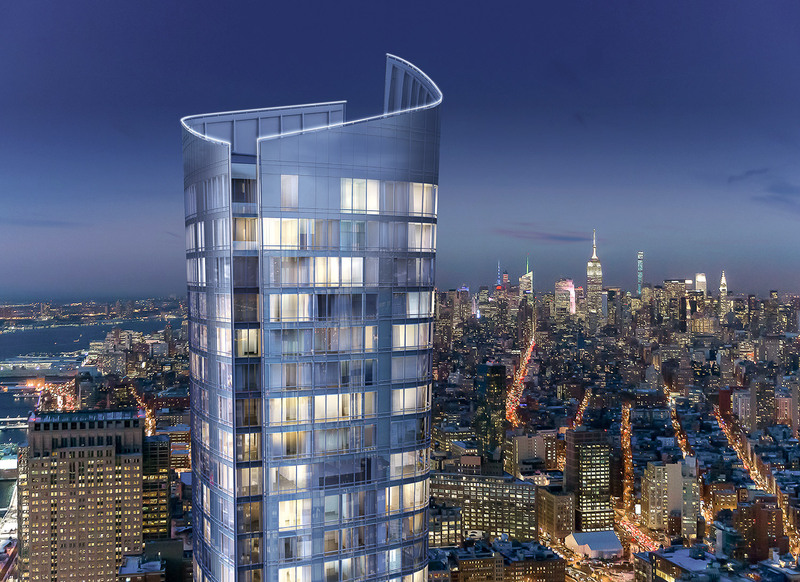 Prices start at $2 million for one-bedroom units, with the penthouse on market now for $40 million. Along with the high prices, the project gained headlines early on for offering a New York City first. Future residents will have access to a concierge jet service, which will include 10 to 20% discounts for booking and flying, which costs anywhere from $125,000 to $250,000. The amenities don’t stop there. The building will include a private garden, reservable dining room, 75-foot long lap pool, and a 3,000 square foot fitness center. Outside of the building, there will be a 10,000 square foot landscaped plaza designed by Hollander Design. 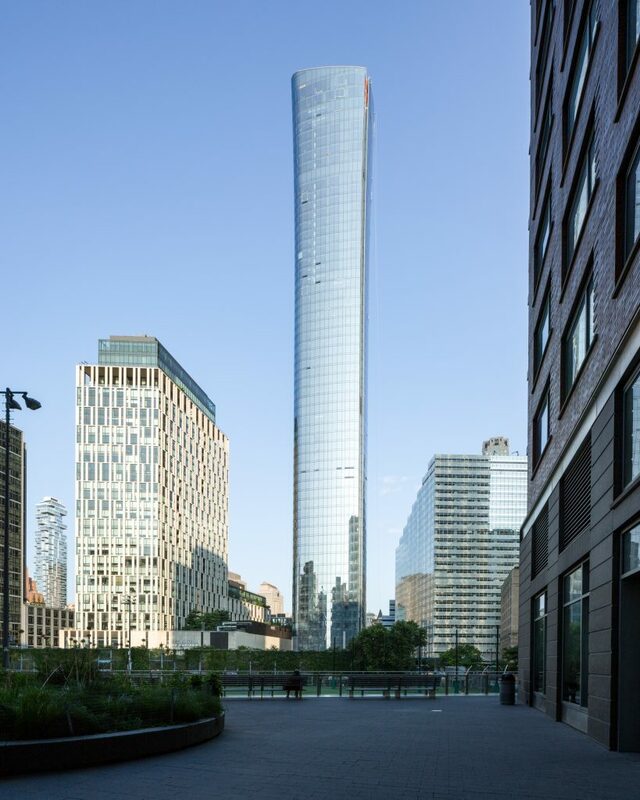 The building’s prime location will give residents views of the World Trade Center, skyline views of Midtown, and an expansive look at the Hudson River. The penthouse units are speculated to even have views of New Jersey beyond the Goldman Sachs headquarters. 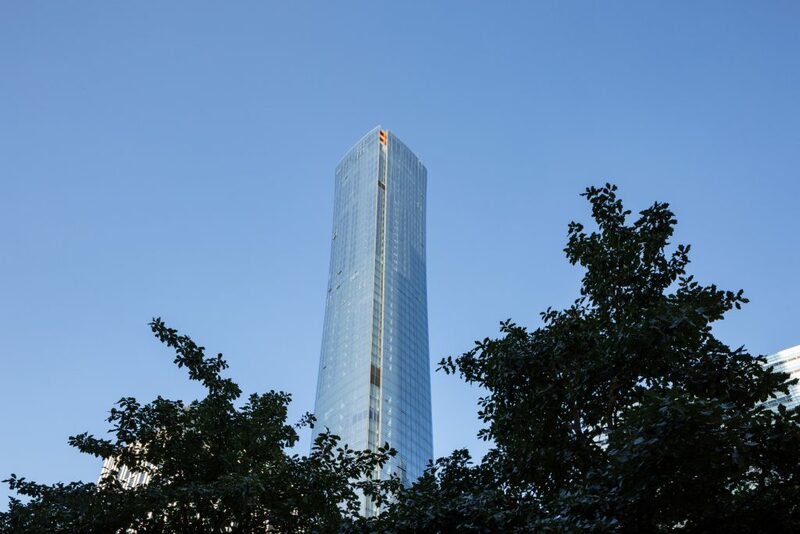 Kohn Pedersen Fox is responsible for the design. The curtain wall façade is remarkable for its seamlessly rounded corners and the asymmetrical sloped crown. 8 Comments on "111 Murray Street Nearly Complete as Facade Installation Wraps, Tribeca"
Please pardon me for using your space: Do you like garlic? Please pardon my using your space: Why yes I do! Hill West is the architect of record and did most of the work on this. A private garden is not a truly private garden if it is shared by 157 condominiums. Klaus, the garden certainly isn’t public either. No privacy in a 157 unit condominium’s private yard you say? My, my, my. You should be condemned to ride the New York City rush hour subways for the rest of your earthly days, my good fellow. construct such a tall building & obstruct the 101 Warren views. My disingenuous comment about the so-called private garden was possibly taken a wee bit too literally. I was not suggesting that the 111 Murray garden was open to the public. However, I often do apartment searches at online realty sites with a garden/outdoor space as a criterion, and by this I mean a space exclusive to the unit (as one typically finds in a brownstone). Unfortunately and annoyingly, more than half the resulting hits nowadays are for projects like 111 Murray which list “private garden” as a feature but which in fact are not at all what I screen for.